If I Might Interject: ALL of Us Must Seek Out God and Repent, Not Just THEM. ALL of Us Must Seek Out God and Repent, Not Just THEM. Following the Catholic news, blogs and the combox comments, one gets the impression that things are getting out of control in America. What we’re seeing is a number of people declaring that when the Church teaching goes counter to what they hold, it’s the Church that’s in the wrong. We’re also seeing them point to whatever document or press conference that has a soundbite that suits them to justify their own position—even though looking at these soundbites in context show that their position cannot be justified. Of course when you raise this point, the usual response is to assume that those who are guilty are those from the other side of the political perspective, and investigating one’s own position is treated as politically motivated persecution: Why are you focussing on us when those people are doing THAT? It’s basically a view that says that only people who hold a position in opposition to mine is error. The problem is, no individual has the charism of infallibility which allows them to declare that the Church is in error while they are not. 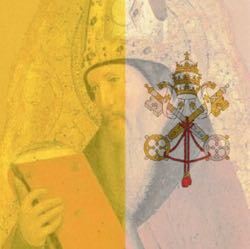 This is given individually to the successor of St. Peter in limited circumstances, and collegiately to the bishops in even more limited circumstances. When the Church teaches on what the faithful must do, we are called to give our assent (acceptance), and docility (readiness to accept instruction) when the Church calls us to respond to the moral issues of our day. Refusing to do so is to deny that the Church has the authority, that she claims to have from Christ, to make such demands on us. But there’s the problem. If one denies that the Church can teach us in a binding way, then she has no real authority other than a social club and it makes no sense to want to change the teachings. Just go elsewhere. On the other hand, if the Church does have this authority given to her by Christ, then rejecting the teaching of the Church is rejecting Christ. That’s a serious matter, because Christ died to save us, and if we reject Him, we reject the salvation He gave us. He loves us, but He made clear that loving Him means keeping His commandments (John 14:15), and one of his commandments is heeding His Church (Luke 10:16; Matt 18:17). The standard behavior is to look at ourselves as if we were the paragons of virtue, while those we disagree with ideologically are seen as what is wrong with the world. It’s easy to use someone who seems worse as the measure—if I don’t behave like that, it must mean I am a good person. What’s more, if the Church judges our behavior, it means that they give support to the sinners. Because we aren’t the sinners, their actions must mean the Church is teaching error. The problem is, that’s not the standard Christ holds us to. It doesn’t matter that we’re better than somebody else. The question is, are we recognizing our own sins and repenting from them? The parable of the Pharisee and the Tax Collector shows us what is wrong with the attitude of “Better than them." So, when Jesus teaches, whether through the words of Scripture we have or through the Church He established, we’re called to heed what He has to say. (That basically denounces both political parties in America). Yes, we are called to oppose these sins when done by the opposing political party. But more importantly, we are called to oppose these sins when they are done by our own political party—That’s putting Jesus first, and thus building the house on solid rock. To be in error is not a rare thing. We’re finite human beings and we don’t always consider the possibility that we’ve made a mistake. The question is, what do we do with our errors. Do we constantly look at what we hold to see if they are compatible with what God has taught us? As soon as we stop looking, that’s when we stop repenting from our sins. If we support what the Church says we must not do; if we oppose what the Church says we must do, we need metanoia—to change our hearts and minds, to repent of what we have done and failed to do. God calls us to do so, and offers us the grace to do so. But we have to accept it. We can’t be saved if we refuse to change to what God calls us to be. Like the elder son, we'd rather examine our brother's conscience than our own.